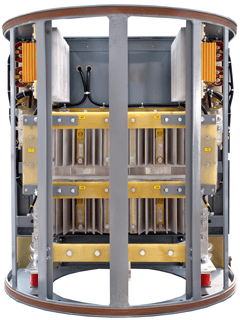 Thyristor propulsion converter which converts AC network electric power fed from a transformer output into propulsion power for DC traction motors. 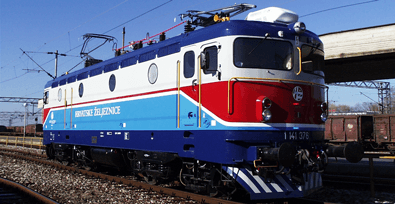 The converter is used in the process of modernization of old diode locomotives into thyristorized locomotives as well as for building new locomotives. Replacement of diode converters with thyristor converters and implementation of vehicle control unit for traction application (VCU) ensures conversion of old diode locomotives to modern thyristor locomotives with superior traction and exploitation characteristics: 1) Continuous speed and torque control of traction motors (both at traction and braking mode) which optimizes adhesion, saves energy, decreases wear of vital parts and provides electronic overload, sliding and torsion vibrations protection. 2) Sequential control of thyristor bridges limits consumption of reactive power.